Over the years, we have witnessed the change in the way travel experiences are being shared—from writing a blog about a holiday to sharing a few selected moments on social media for instant likes and gratification. We believe that this sudden migration has lead to a gap in the market, a need to capture and share travel experiences differently. Currently your travel tales are limited to a few pictures or a few hundred words. Thus, there is a need for a solution that allows you to tell a story of your entire experience. It further gives you the opportunity to inspire others with your stories and reminisce your journeys. 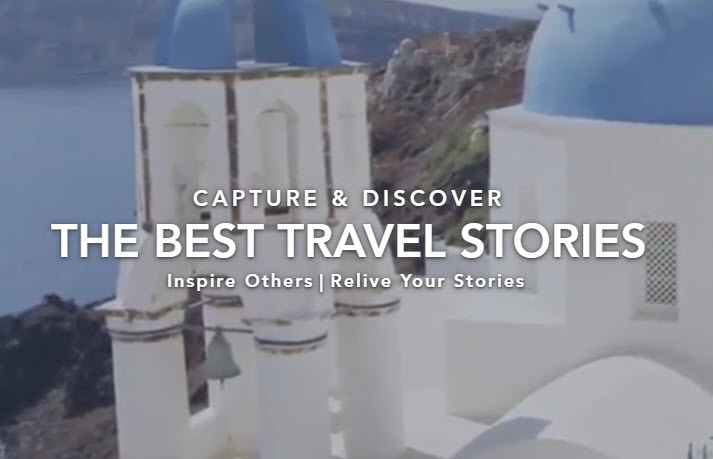 We believe that everybody has a story to tell; this belief led to months of ideation and hard work to create a solution for that traveller—the story teller. Persistent efforts were made to develop the nearly perfect platform to capture an individual’s travels and build a community of like-minded storytellers to inspire each other. Hence, going back to the drawing board led to creating that optimal solution that is now TraveLibro—a social network, which captures your entire Travel Story. Here’s an app, which gives you the opportunity to tell your stories differently, in brief or in detail; an app, which allows you to influence others and inspire their wanderlust; an app, which is a perfect snapshot of your personality, your travels, your experiences, and your stories. Every aspect of a trip can be documented in a revolutionary new form. It gives blogging a fun twist by creating a beautiful timeline of your travel stories with photos, videos, rating and reviewing of your check-ins and thoughts. You can record all your expeditions by simply clicking on the two tabs, Local Life and Travel Life. While Local Life records activities in your home city, Travel Life is reserved for your past and present journeys. The portal is also available on the desktop, you can browse through specially curated must-dos and over 1,500 unique itineraries created by our editors as well as hotel bookings and listings of travel agents. The app has seen a tremendous growth from the beta version to going live. Currently, the TraveLibro community stands at 30,000 and is growing stronger by the day. Founded in December 2014, TraveLibro is the brainchild of Monish Shah and Malhar Gala, both passionate travellers. Currently it is in its pre-revenue stage. Let us know a bit about your team, who are the key team members and what is their role? The TraveLibro Team a.k.a TraveLibrans as they like to call themselves is a unit of 20 individuals passionate enough to change the way people tell their travel stories. The team comprises of Co-Founders Monish and Malhar, a content head, a solid team of tech ningas, marketing professionals, design and motion artists, and content editors. Why did you choose this particular idea and concept to build your startup on? TraveLibro is the brainchild of Monish Shah and Malhar Gala. The idea for TraveLibro initiated when close friends Monish and Malhar were on a holiday in the UK. Both having been to London several times before were struggling to recall some of the places they had visited earlier or the unique restaurants they ate at. This gave birth to the idea of an app and portal which would allow you to capture your entire travel experience together on a shared time to relive your entire trip at any moment through your life. If applicable, what is your growth like? And what milestones has your startup achieved so far? Our biggest milestone was the day when TraveLibro went live from the beta stage. When you see your vision taking an actual form, the excitement was at its peak. Building the product that we dreamt of, step by step has definitely been the highlight. Also, the biggest success factor for us has been the recognition from some of the most popular bloggers in the industry. Seeing them capture, document and their travel stories seamlessly on the app has given us immense confidence in our product. Please find below some of the popular journeys by popular bloggers on TraveLibro. Are you looking for funding or are you open to partnership opportunities, and if so, what’s the best way for people to get in contact with you? Yes, we are currently looking for Series-A funding. The best way to connect with us would be at info@travelibro.com. TraveLibro helps you discover the stories of other popular travellers to ensure your planning is based on real life experiences as opposed to blogs or itineraries. Lastly, TraveLibro is one of the only platforms in the world for Travel Agents, Local Guides and Tour Operators to connect with a global audience of travellers. Partners can display their tours, packages and itineraries to generate leads from our audience. These offerings can be easily found by the users either when they are planning a trip or when they are capturing a live trip on-the-go. TraveLibro gives each partner the opportunity to display their offering and then close the deal bilaterally.